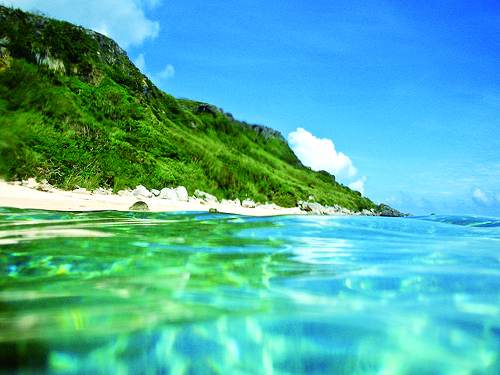 Miyako Island (Miyakojima), located 300 kilometers southwest of Okinawa Main Island and 100 kilometers northeast of the Yaeyama Island, is known for some of Japan’s best beaches, and is a great destination for snorkeling and diving in the coral reefs. The sub-tropical climate provides mild weather year around. Miyako is the fourth largest island in Okinawa Prefecture. It lacks any major hills or mountains and is mostly covered by sugar cane fields and a few towns, among which Hirara is the largest with a moderate range of restaurants and bars. Resort hotels and pensions are found across the island. Unlike other parts of Okinawa, Miyako is free of habu snakes.